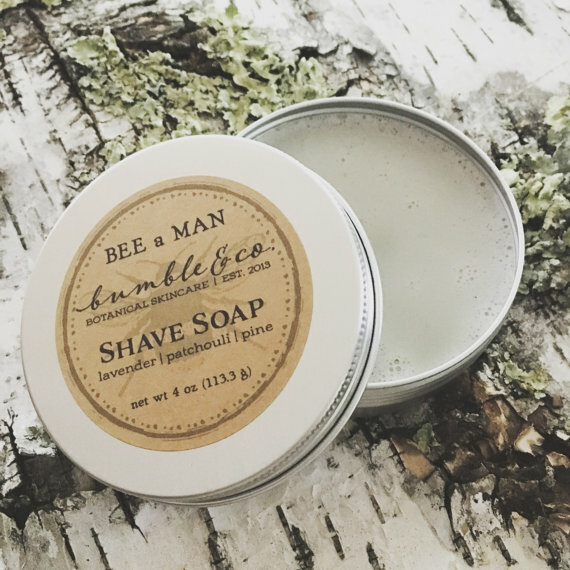 The herbal shave soap creates a rich, creamy lather that protects your face and lifts those whiskers for a smooth, comfortable and extremely close shave. This rich, emollient, handcrafted vegan shave soap makes for a natural silky lather and a smooth wet shave, giving great razor glide without irritation …. leaving skin soft + moisturized. 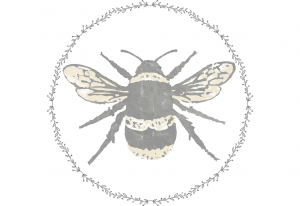 BEE a MAN vegan shaving soap is enriched with hemp oil, shea butter and bentonite clay and softly scented with only the finest of essential lavender, patchouli and pine oils. Discover traditional men’s grooming with wet shaving … you will never go back to using commercial chemical laden shaving cream once you try this real shaving soap. To be used with a shaving brush. Use after showering or heat face with warm cloth, heat shave brush with water and make a lather with product in a circular motion. Apply lather to skin, then shave. Repeat application for directional shaving patterns. Rinse well. 2 piece kit with soap + shave brush also available.